April 5, 2019 – Governor Roy Cooper signed an executive order to increase opportunities for fair wages, employment and careers for people with disabilities. The order, called “Employment First for North Carolinians with Disabilities,” was signed at the Piedmont Regional Council in Kernersville on March 28. It also directs state government to lead the way in recruiting and creating an inclusive job climate for people with disabilities. More than 1.3 million North Carolinians have a disability, making up approximately 13 percent of the state’s population. Of those, more than 720,000 are of working age, but only 35 percent are employed, compared to 76 percent of North Carolinians without disabilities. Increasing employment for people with disabilities increases independence and results in cost savings for behavioral health services, intellectual/developmental disability services, and acute health care. It is also good for businesses and other employers, resulting in lower employee turnover, increased productivity, and access to a broader pool of skilled workers. 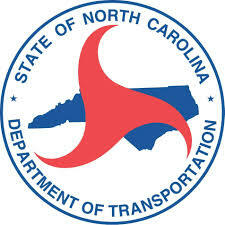 The executive order directs the North Carolina Office of State Human Resources to collaborate with the NC Department of Health and Human Services to enhance recruitment and outreach efforts to potential workers with disabilities and to identify and attract qualified individuals with disabilities for state employment. Learn more about the executive order through this fact sheet. Employment First builds on the progress of Governor Cooper’s NC Job Ready and Everybody Works NC and is aligned with efforts to create an inclusive work environment mandated through a previous executive order that prohibits discrimination in state employment.